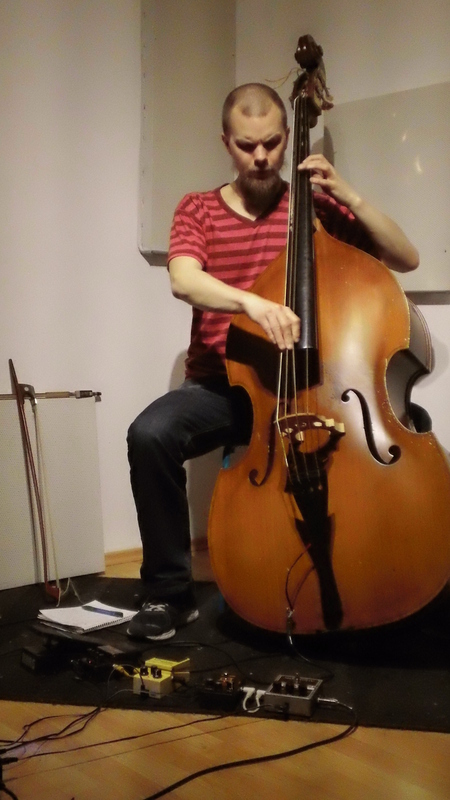 Antti Virtaranta, a Swedish born Finn, is a bassist and composer. He studied and performed Jazz in Philadelphia, USA. He has performed everywhere from festivals to small coffee houses and in different styles from Free Improvisation to very Tradition Swing Jazz. He currently resides in Berlin and performs regularly with different projects throughout Berlin. He has performed with Elliott Levin, Tristan Honsinger, Harri Sjöström, to name a few. Currently he is focusing on his solo electronic and bass music that translates to the small group settings that he is involved in.